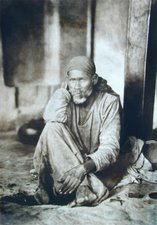 Continuing from stories from Sai Sarovar from the last post, the story of Sai Baba curing the eyes of Shama comes. It has already been written on the blog and can be read by following the link. 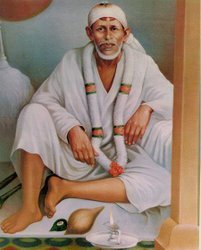 Then the story described in the sacred text, what many devotees feel as Sai Baba himself, Shri Sai Satcharitra chapter number 22. The stories of Shama (Madhavrao Deshpande) continues, after few stories of Kusha Bhav. In 1910 A.D. December 11th (Hindu calendar Vikram Savant 1966 Magshar Sud 8 Saturday), the officer of Ahmednagar, Shri Mirikar had to visit another officer in Chitli. The meeting was on Sunday, and Shirdi was on the way. So Mirikar decided to have Darshan of Shri Sai Baba. 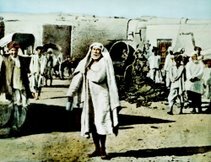 Mirikar reached Shirdi in the morning, took Darshan of Sai Baba in the Masjid, did Sashtang pranam, washed Sai Baba's feet with water from Godavari and drunk the same as tirth. Mirikar attended all the Aratis in Shirdi. 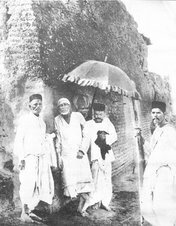 In the afternoon Darbar of Sai Baba in Dwarkamai (Masjid), Kakasaheb Hari Sitaram Dixit, Madhav Rao (Shama), Balwant son of Atmaram Kharpade, Aranya Saheb, Kaka Mahajani, and many more devotees were present, to sit and experience the Divine presence of Sai Baba. 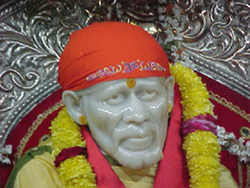 Today Sai Baba looked enraged, His eyes were showing some mystical shine. This kind of Darshan is rare for human kind. Sai Baba talked in mystical language, then He said, "World has turned worse, people are not the way they were before, before people were with faith and sacredness, now they have turned Nastik (atheist), now they look for harming others." Then Sai Baba talked about His previous births. Suddenly turning towards Mirikar, He asked, "Arre, Do you know about our Dwarkamai?" Mirikar could not reply to the question and remained silent. 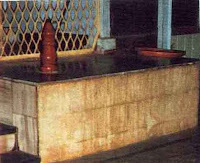 Sai Baba continued, "This Masjid is our Dwarkamai, Dwarkmai is the protector of those who sits in Her lap, She makes them fearless, this Masjid is too kind, who ever sits in Her lap gets salvation (Beda par ho jaye). 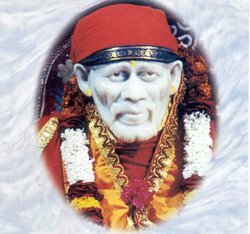 In the evening when Mirikar went to Sai Baba to ask for the leave as it was custom in Shirdi, Sai Baba raised his hand making the shape of an alert cobra, and said, "Do you know this lambudas (long one)? It is dangerous, but what can it do to the children of Dwarkamai? who can harm the ones on whose head is the hand of protector with thousand hands? Shama was present there when Mirikar came for the leave. Sai Baba asked Shama to go with Mirikar and have some fun. Shama told that he will be ready after he change the clothes. Mirikar said that it would not be fine to give Shama the trouble. Sai Baba said, "Alright, do not go. We should mean well and do well. Whatever is destined to happen, will happen". Mirikar was aware of Sai Baba's words, that they never came out without a meaning, so he changed his mind and asked Shama to accompany him. Shama again took the permission from Sai Baba for the same. Chitali was a small town and did not have any accommodation for visitors. The office people had not come, so they arranged for rest in a Maruti(Lord Hanuman) Temple. 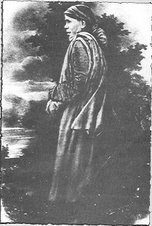 People use a long cloth called Khes with their attire in those days. Which was of many uses apart from the good appearance it gave. Mirikar was sitting with one end of his Khes on his waist and the other lying on the floor. He was busy reading newspaper when a snake crawled and sat on the Khes, the snake was too close to the body and Mirikar unaware relaxed as he read newspaper. The experienced ears of the person guarding the temple, herd the noise created while the snake might have moved over a paper on the floor. He was convinced that a snake was in the temple. He moved in the temple with a lantern. Everybody were frightened with what they saw. The snake was sitting so close to the Mirikar that slight movement would cause and immediate attack from the poisonous snake. Somehow disturbed with the movements elsewhere in the temple, the snake quietly left the place and Mirikar was left unharmed. 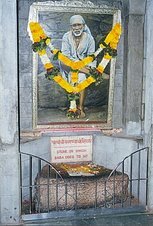 SatChit Anand SadGuru SaiNath Maharaj Ki Jai! Great and a real story. Thanks for sharing with us. Great post, I really like ur blog.